Week six was an improvement on some previous ones in regards to my picks as I did alright picking straight up, while seeing a little bump against the spread. I didn’t think I would be going full Jeff Fisher being content with the weekly picks equivalent of going 7-9 against the spread, but it has been that type of year. The good news is that the big picture is getting clearer throughout the league’s landscape. By now in the NFC for example, we have a pretty good idea of who the contenders are while the AFC has some clear favorites but a nice chunk of teams in that middle ground. With 14 games on tap for the weekend, it should make for another interesting weekend as teams are starting to get to that push where they really start jockeying for playoff position. 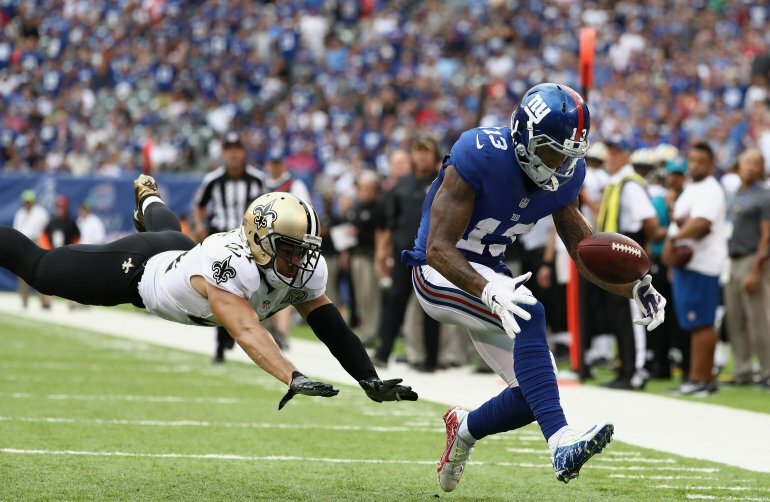 Game of the weak: Giants vs Rams: Why yes it’s our second morning London game of the season! Because nothing can back up talks of declining viewership like the majority of the country rolling out of bed to watch Case Keenum sling it. Aside from the talk of how much these London games do for the game of football and “the shield”, the main topic that now hovers this game is the news regarding Giants kicker Josh Brown. Despite all the talk about cracking down on domestic violence, the NFL seems to have done despite the league supposedly knowing of events relating in nature to as much as a year or so ago. While they ultimately live with their consequences, the main reason players such as Ray Rice and Greg Hardy were discussed is that when on the field at times in their career they had been Pro Bowl caliber talents. Depending on the stage of a players career, and position premium they will get other chances as one team at least will usually take a risk. But now facing the same dilemma with a kicker, this should of been a clear choice. In all, there are a handful of fantastic kickers, a few awful ones and then everyone is pretty much the same. Brown fits the group of interchangeable options. Game of the week: Seahawks vs Cardinals: If Ben Roethlisberger didn’t need surgery this week, the Patriots/Steelers matchup would easily have gotten the nod here. Unfortunately in 2016, we have been reminded frequently that we’re undeserving of nice things. This game between two NFC West foes and preseason NFC favorites isn’t a bad consolation prize. This entry was posted in NFL, Picks against the spread, Week 7 predictions and tagged 2016 NFL Predictions, 2016 week seven predictions, Arizona Cardinals, Atlanta Falcons, Baltimore Ravens, Buffalo Bills, Cincinnati Bengals, Cleveland Browns, Denver Broncos, Detroit Lions, Houston Texans, Indianapolis Colts, Jacksonville Jaguars, Kansas City Chiefs, Los Angeles Rams, Miami Dolphins, Minnesota Vikings, New England Patriots, New Orleans Saints, New York Giants, New York Jets, NFL, Oakland Raiders, Philadelphia Eagles, picks against the, Pittsburgh Steelers, San Diego Chargers, San Francisco 49ers, Seattle Seahawks, Tampa Bay Buccaneers, Tennessee Titans, Washington Redskins. Bookmark the permalink.